Castaway Island Fiji has long been considered one of the ‘sure bets’ for consistently providing great family holiday experiences. With so many Fiji family holiday resorts to choose from, and considering the property is over 50 years old, what is it that makes this resort so special? Offered year round. Generous with travel date options good compared to other resorts. And considering the private island experience they are excellent value for money. See latest here. With Fiji’s love of family, all Fiji resorts are very welcoming but Castaway seems to nail the ‘home away from home’ feeling better than most. We believe this is due to the longevity of their staff members and their ability to remember return guest names. At the helm is Steven Andrews – recently awarded the title of Bulanaire as part of Tourism Fiji’s latest happiness campaign. 174 acres of awesome! Castaway is fortunate to be on one of Fiji’s most beautiful private islands. A remote feeling normally only afforded by the outer islands of Fiji yet still so easily accessible from the mainland. Some of the newer island resorts around the same price point as Castaway are absolutely spectactular in terms of architectural design and decor but if you want the REAL Fiji and you can forego 5-star luxurious bathrooms and fussy fittings, Castaway is hard to beat. The no-TV tastefully furnished bures are super quaint and comfy and offer that authentic island ‘been here forever beach shack’ feel. From the moment you arrive with the gorgeous welcome from the family, it truly feels as if you’ve simply washed ashore and have stumbled upon a hidden island Nirvana. Magic! A LITTLE QUIRK AT WORK! Castaway is a little quirky – personality with a capital “P” – sort of like that friend you have who doesn’t mind wearing odd socks and dances like crazy in the rain. It’s the little unexplainable differences that make you fall in love with her after you’ve visited a couple of times. We attribute this to her strong island history, well-established operations, her perfect imperfections and the fact the happy staff at Castaway are influenced so positively by their GM – one of the friendliest GM’s in Fiji. It’s just a fun feeling you get. You’ll understand what we mean when you’re there. For these points and a plethora of others, Castaway consistently welcomes return guests to the island year after year. That is the magic of Castaway. Meet Steven Andrews – Castaway’s General Manager since 2005. Steven has recently earned the title of Bulanaire as part of Tourism Fiji’s latest marketing campaign that celebrates people from around the globe who are truly rich – rich in happiness! 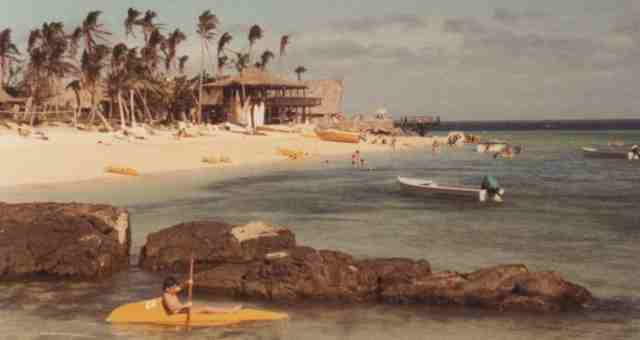 The first words we heard when we arrived at Castaway Island for the second time were “welcome home”. My wife an I took our granddaughter back after spending 8 days at this fantastic resort back in January 2018, this time we stayed 11 days and it was even better than last year. 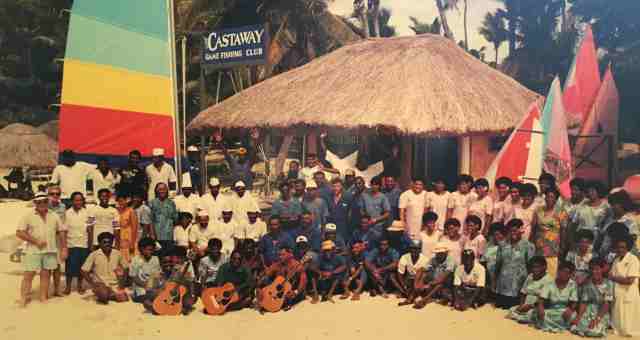 What makes Castaway so great is the management and staff, so friendly and accommodating, they make you feel at home. Again the food here is excellent whether you have the buffet the ala carte or a pizza at the Sundowner you won’t be disappointed or hungry. We did the island hopping excursion and I would highly recommend this, out to have a look at Cloud 9, Cloud Break (WSL contest held here each year) and finished off with snorkelling at a sand island which was just amazing. Castaway is a fun place great for all ages and worth a stay, have a cocktail by the pool made by Emily or Ima and you’re in heaven. Talk to Emosi the restaurant manager and he will seat you for dinner with a view of the sunset which is amazing. Snorkelling, kayaking and stand up paddle boards will give you a great view of the reef surrounding this gem of a resort.